There are many different varieties of balers available and we can offer a wide selection. 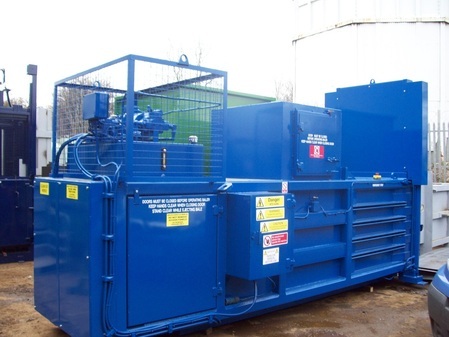 We have various small stand alone, twin/triple chamber balers ideal for customers producing two or more waste streams, enabling multi baling of smaller amounts of material. These have the advantage that sites with restricted storage space and handling ability can move the processed materials easily without the need for large fork lift trucks. For producers of a larger volume of material we offer horizontal balers that can be either semi or fully automatic. These machines can bale at the rate of several tonnes per hour. Just like compactors, balers offer a safe, efficient solution for the collection and transportation of materials for recycling. They can act as a standalone system or as part of a fully integrated recycling collection system. As part of our operation audit, OWP will assess the need of each site to ensure the right equipment is provided for each clients need.